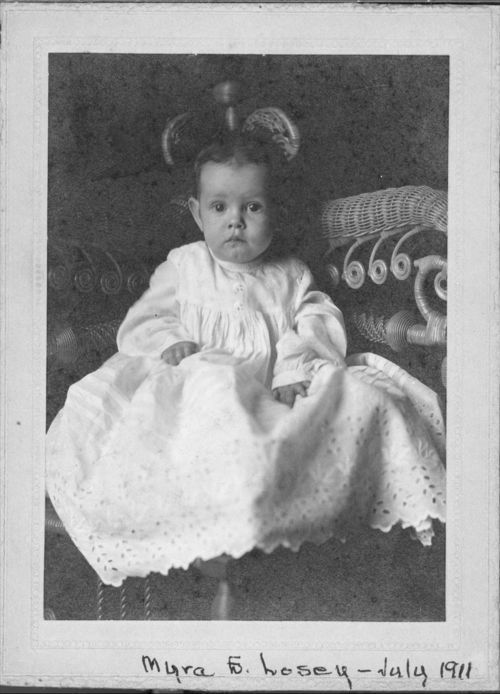 A portrait of Myra E. Losey, born October 7, 1910, at Abilene, Kansas. She was the daughter of William Henry and Lillian Maud Plumb Losey. Myra had two sisters: Grace and Mary. The family lived in Abilene, Kansas until 1925, when they moved to Topeka, Kansas.